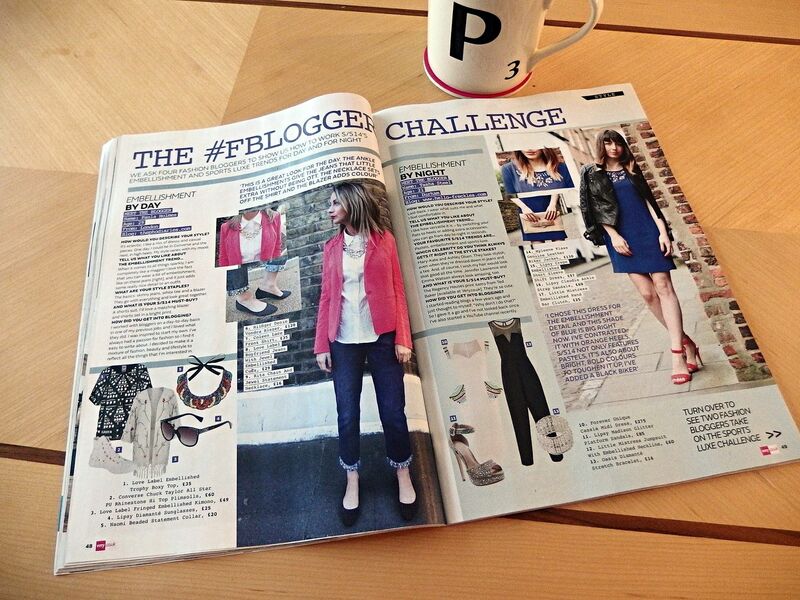 I recently took part in a style challenge for Very.co.uk which was going to appear in their monthly magazine. 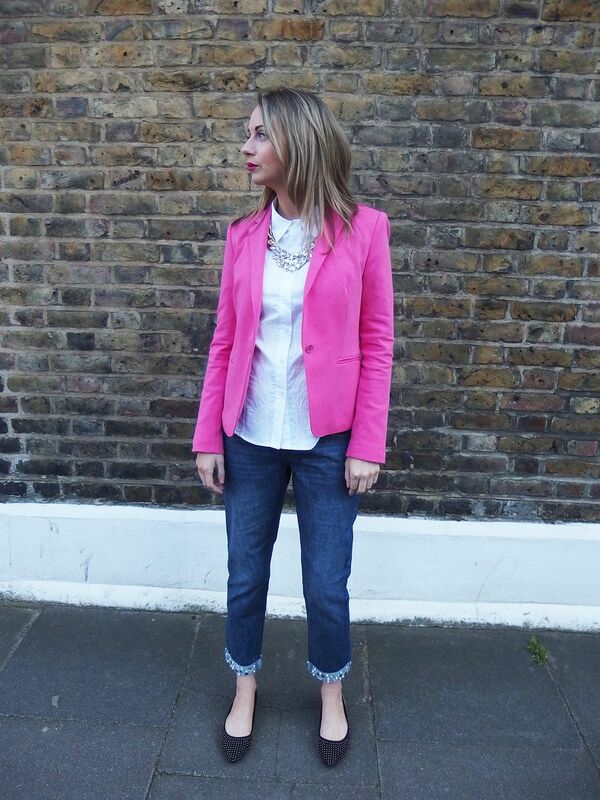 I was asked to style up an outfit using one of the key SS14 trends, I was given embellishment and to style it for day. I’m pretty partial to the odd sequin or glitter especially during the day so was excited to put something together! I think the key thing to work embellishment for day is not to go too overboard, so I started off by choosing a pair of boyfriend jeans with ankle embellishments, the pearls and gemstones give the denims a little something extra without going OTT. I paired the boyfriend jeans with a white shirt which if you look closely actually has some lace embellishment on it. This is such a great shirt for wearing with anything and is great for wearing to work, with trousers or jeans. The jewel and gold chain necklace caught my eye straight away and was a great addition to add to the shirt, I love how it’s totally bling without being embarrassingly gangster. With a pair of boyfriend jeans you need a bit of a heel but sometimes heels for day doesn’t quite cut it so I experimented with some studded flats and think I pulled it off! Lastly I went for a bright blazer to add a pop of colour, I love this pink Tommy Hilfiger one, it feels great on and the colour is just so summery. You can check out my feature and interview in the Very magazine which is out today (22nd April) and comes in the magazine pack with OK! magazine, Star and New! 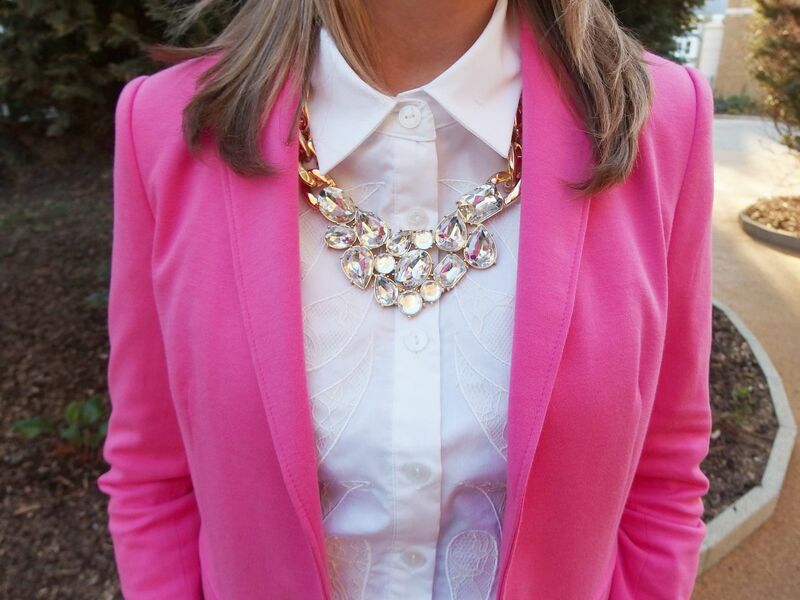 Great blazer, love the color!